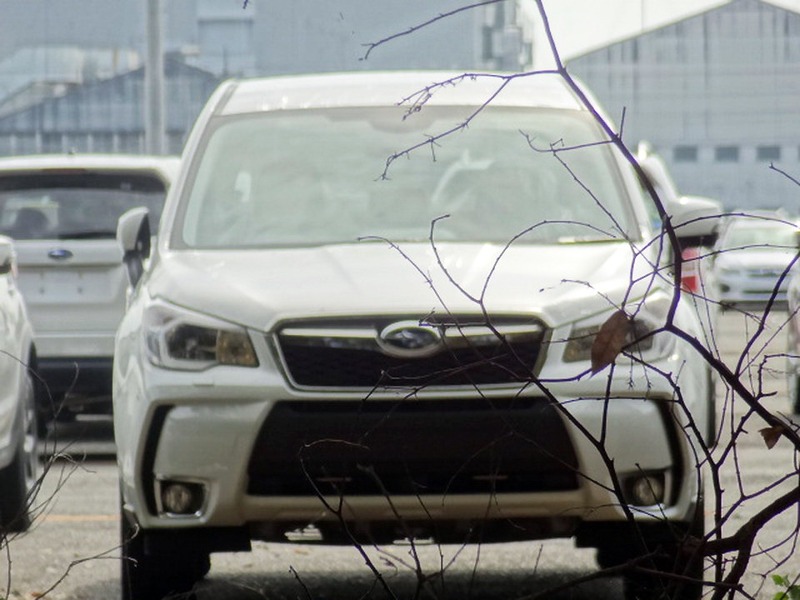 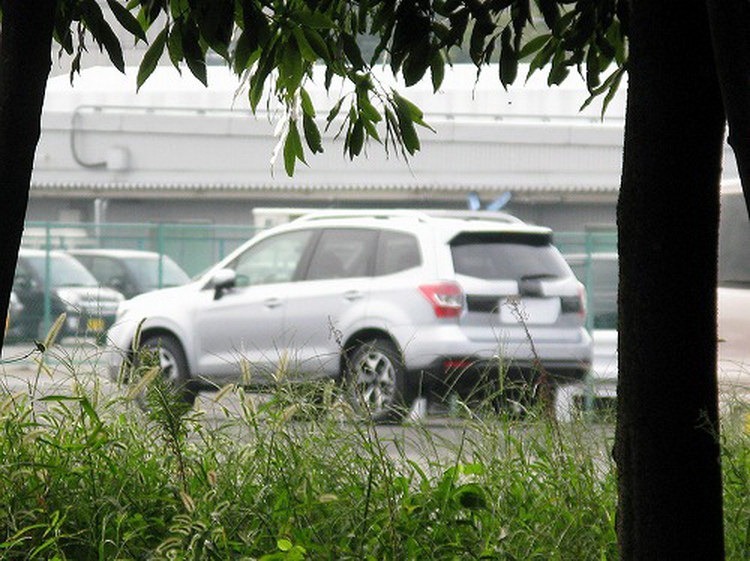 While Subaru was uploading a shadowy teaser of the next iteration of the Forester on its Japanese website, and not too long after we shared scans from the car’s Japanese Domestic Market (JDM) brochure, the first real-life images of the compact crossover hit the net. It’s not hard to see that Subaru didn’t want to alienate buyers of one of its most popular global models when it came to design, as the new Forester looks like a more modern, or evolutionary, if you prefer, interpretation of the current model. 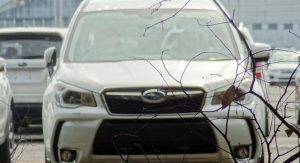 Besides the more forceful face incorporating Subaru’s latest grille design, the high-riding, station wagon gains some new styling cues, the most notable of which concern the more prominent wheel arches and heavily sculpted door sills, the addition of a small quarter window up front and new door mounted mirrors. 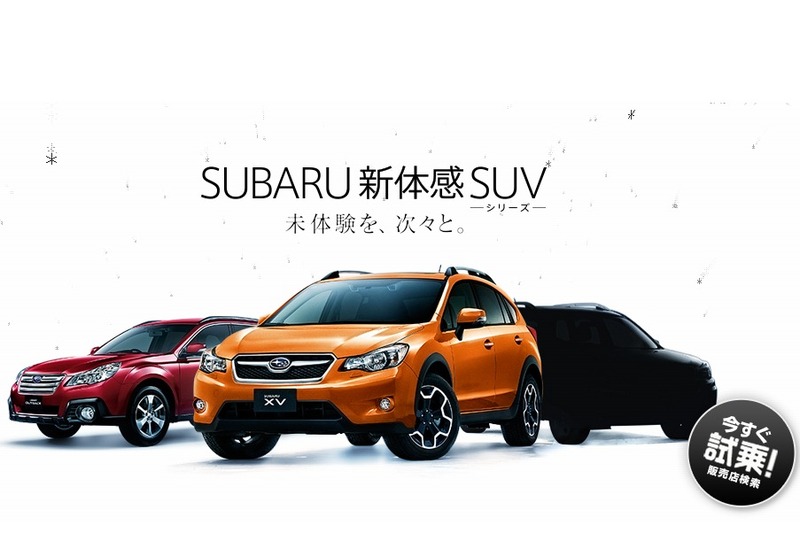 The previously mentioned brochure gave us a grainy glimpse at the Forester’s interior with the dash looking a lot like the one fitted on the new Impreza and XV models. 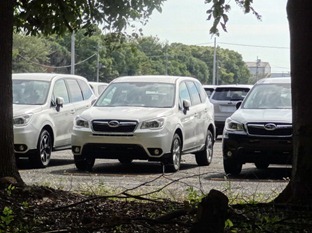 Talking about the Impreza, it’s almost a given that Subaru used its platform to build the new Forester. 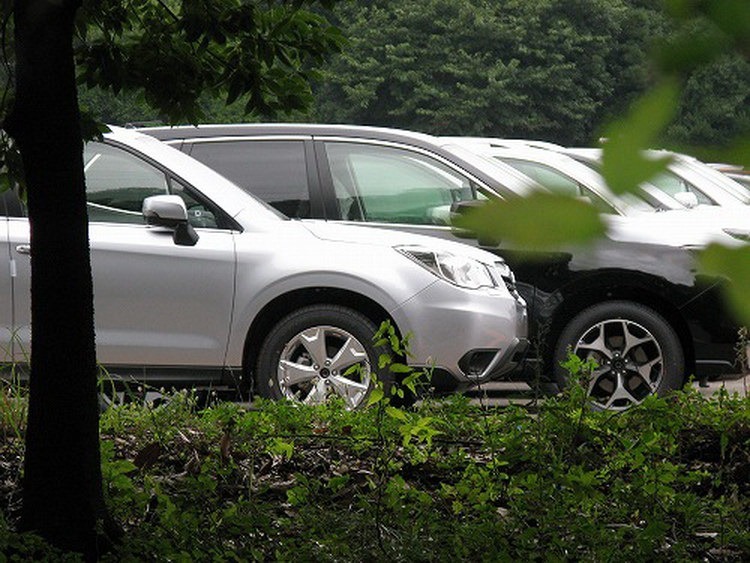 According to the brochure, the new model is a little bit bigger than the current Forester at 4,595mm / 180.9 inches long (+35mm), 1,795mm / 70.7 inches tall (+15mm) and 1,695mm / 66.7 inches wide (+20mm). 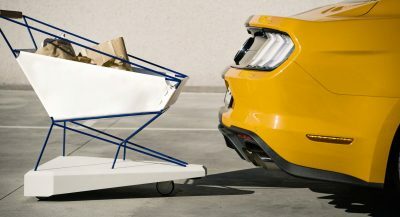 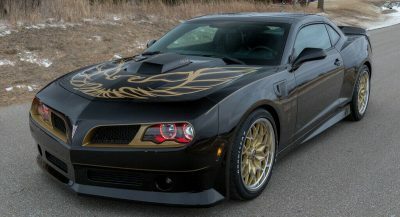 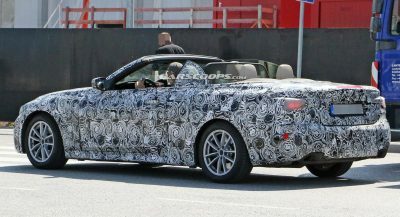 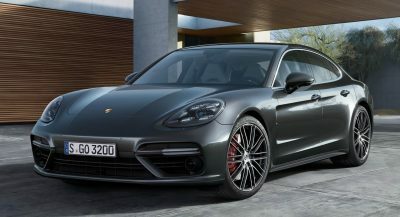 It also rides on a longer wheelbase at 2,640mm / 103.9 inches (+25mm), which should improve space for the rear passengers. 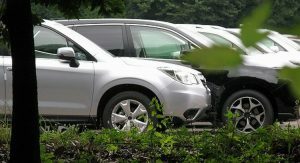 The increase in exterior dimensions benefits the load area as well as it now stands at 505 liters (488 liters when opted with a power tailgate), versus the soon-to-be replaced 2012 Forester’s 450 liters boot capacity. 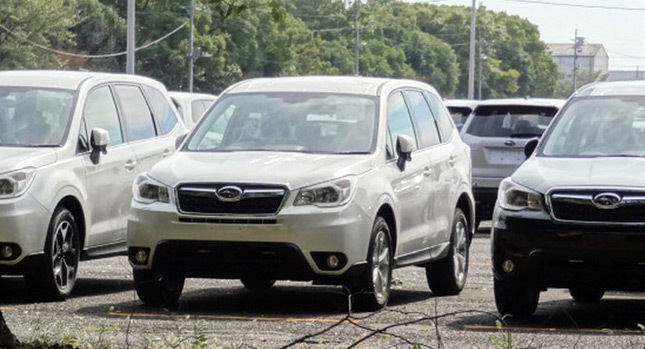 In Japan, the new Forester will offer buyers a choice of two gasoline engines, a 146Hp (148PS) 2.0-liter unit coupled to either a 6-speed stick shift or a CVT, and a 2.0-liter twin-scroll turbocharged flat four rated at 276Hp (280PS) that’s connected exclusively to a CVT. 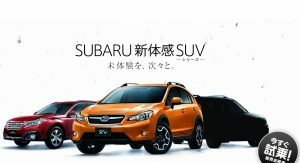 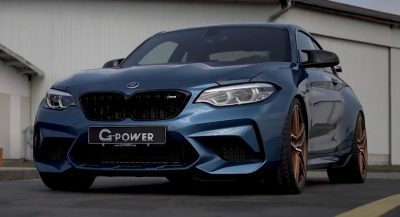 The engine options in other regions remain unknown, but as we mentioned in our previous posting, we believe that the U.S. market model will likely be available with Subaru’s new 2.5-liter flat four rated for 173hp and 174 lb.-ft. of torque, while the European spec version, with 2.0-liter petrol and diesel boxer units, both delivering around 150-horses. 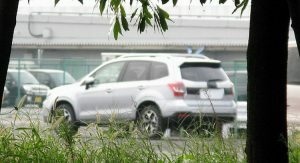 Japan will be the first country to get the new Forester starting in mid to late November followed next year by the rest of the world.